You're a fast-dressing legend. 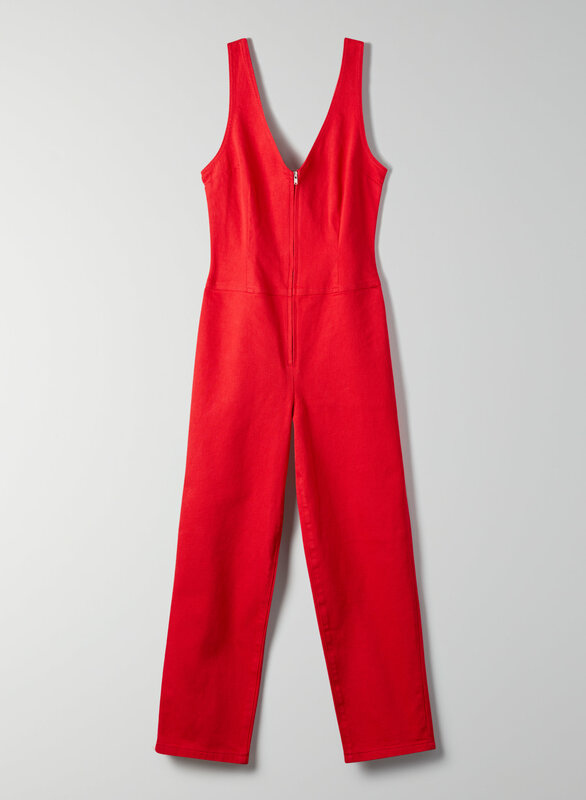 This is a sleeveless jumpsuit with a flattering double-V construction, darted bodice and exposed zipper closure. 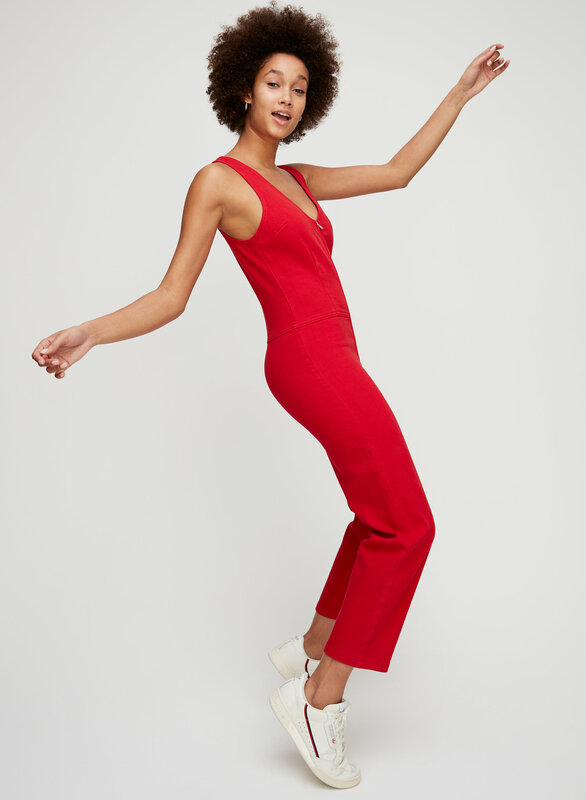 It's made with stretch cotton twill.